Celebrities, like the rest of society, can make some interesting life decisions, including the choice of pets. From reptiles to mammals and known wild animals to ones we have never heard of, here are ten strange pets with famous owners. 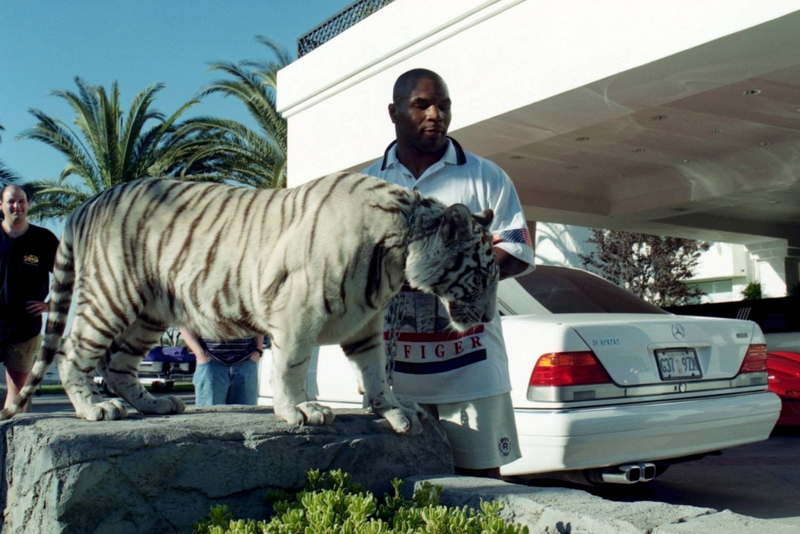 Mike Tyson owning tigers isn’t just a hilariously memorable scene from The Hangover. When the heavyweight boxing champ was looking for a feline pet, a common house cat would not do. Instead, he purchased and cared for tigers at about $70,000 per cat. Three of his royal bengal tigers were seen in the movie The Hangover alongside their owner. Mike spends over $200,000 per year on food for his tigers. Tigers are not the only unusual animal dear to Mike Tyson, as he has always had a love for pigeons. Actress Kristen Stewart is most famous for her role in the Twilight movies. Along with her mother Jules, Kristen owns four wolf-hybrids. At home in the mountains of California, these wolf-hybrids were rescued by Jules from Florida. Wolf-hybrids are legal with permits in California, but they are not legal in all states. While Kristen was raised with wolf-hybrids and continues to own then, she does not recommend them to the general public. Wolf-hybrids can be erratic and have an unpredictable temperament. I'm a native San Diegan and the oldest of six. Yes, six. My good Catholic mother wanted to fill a pew in mass. Success! I love being with family, tennis, running, classic rock, college football, sports cars, SNL-type humor, Mad Men, and (especially) Saint Mary's College Basketball. Writing has always been my "gift.” I enjoy playing with words and avoiding clichés. From sports and news writing to technical content and witty ad copy, I do it all!